Businesses like yours that are intending on penetrating the global market will not get far unless they interact sufficiently with their desired audience. That means translating your product’s information and marketing materials into the target market’s language. This builds a trusting relationship between your business and your intending customers. One of the best ways to do this is to hire an experienced NAATI translator who has been accredited this status through hard work. A NAATI translation is held in high regard. The main aim of any marketing material is to promote your product so that it will sell well. This means any professional translation must be perfect. Once the translation has been completed you must make sure that you proofread it for perfection. There should be no grammar, pronunciation or spelling mistakes. You can get someone in your business who understands the translated product information to skim through it to ensure the message is correct. There may be certain metaphors you use or a sense of humour that is embedded in your marketing materials that represent the true nature of your product. If you provide a summary of terms your business uses for the translator to use you will get a better translation the first time round and won’t have to ask your professional translator to do any revisions. 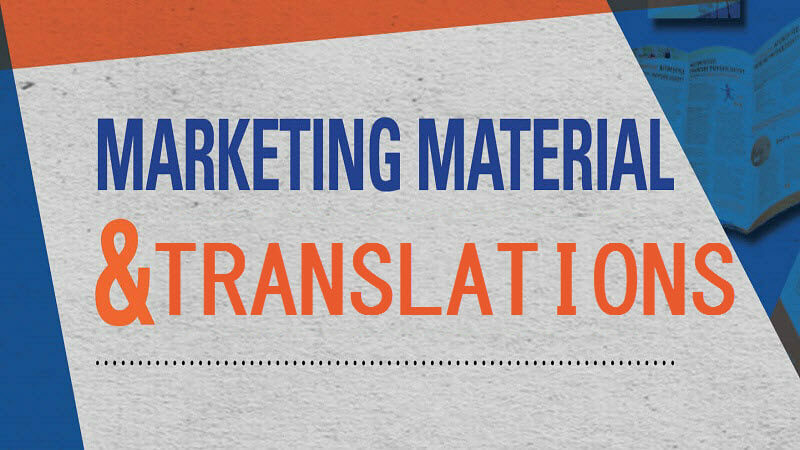 Getting the translations consistent for your products is important so that people recognise your brand from the way it is presented in the translated text. Some international brand names like McDonald’s restaurants have been very successful at marketing their product overseas and have gained a trusting customer base by the way they have created reliable translations in many different languages. They haven’t just relied on English to present their brand as this would not be as attractive in say a Spanish speaking country as a product description in Spanish. There are many professional NAATI translators who have gained knowledge of many different brands and the language used in the pair of languages they specialise in. This means they can create just the right translation when asked to do so and the client is more than happy with the newly translated marketing materials.